I am the measured meander of a river shaping a City Centre. I am a harmonious and diverse mixture of communities. I am the ever-changing city trends. I am dog walkers and joggers crisscrossing Riverside Drive. I am a mecca labeled the ‘Green City in the Sun’. I am Riverside and Lavington agent, Farsheed Alibhai. 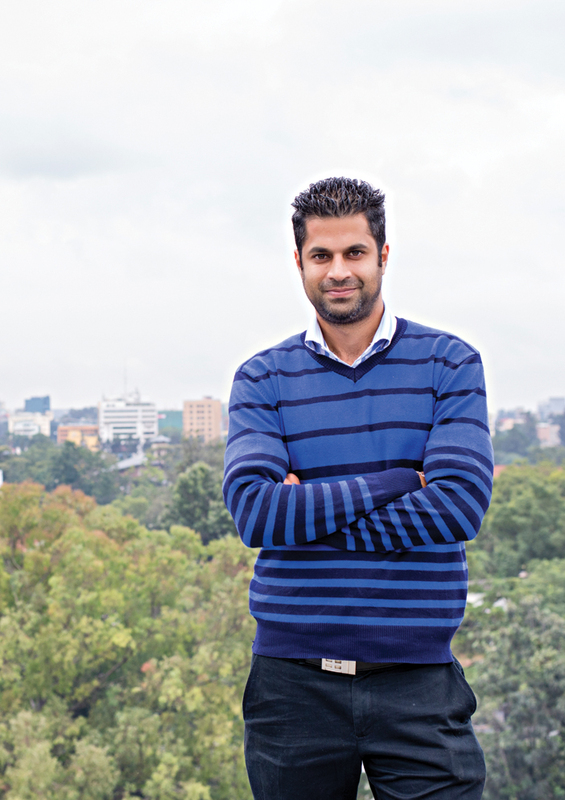 Hi, I’m Farsheed and I have been working with Pam Golding Properties in Kenya since 2015. I specialise in residential sales in Riverside, Lavington and Kileleshwa. When I’m not doing that, I enjoy playing tennis, squash, football and meeting up with friends and colleagues. I also love to get in a round of golf from time to time. Get in touch and let’s discuss how I can help you with your property requirements. I currently live in Riverside Nairobi and I have been in the real estate industry for over a year now. I have a Bachelor’s Degree in Microsoft Certifies Systems Engineer. Within my first year with Pam Golding I sold 4 units up to 100M Ksh shillings and my most notable sale was within my first 2 months of starting, I sold a 3 bedroom apartment in Riverside which had previously been listed for over 8 months to the value of 24M shillings. Prior to working with Pam Golding, I worked for Resort Condominium International in Nigeria for 3 years where I gained a considerable amount of experience that has gone a long way in helping me become a better agent. Kenya has a lot to offer when it comes to available real estate options. I understand that real estate is very personal as it is the seller’s home in question and their prime possession. I find that it is how you treat a client that makes the difference. Social gatherings are a good way to meet new people, being a social individual I love connecting with people and getting that chance to understand their needs and wants. Their story is what drives me. There is a certain joy in getting to see someone smile. Buying a property can be a big step and albeit a bit stressful, but knowing your area well makes all the difference. The beauty of Lavington, Riverside and Kileleshwa is the practicality of life and easy access all over. What I love most about this industry is getting to see different types of properties, getting to meet new people and most of all helping people and families find their dream home. I get to learn something new every day and find that to be absolutely amazing! During my free time, I usually drive around and take a look for what else is coming up in my area, what sort of pricing is out there, who is developing and so on. This helps me understand my area better and aids me in finding what clients are looking for. Taking all this into consideration I hope to continue doing what I do best and assist you with your selling and buying needs.